What does it mean to have asthma? How do healthy lungs function compared to sick lungs? These are the questions my 8-year-old wanted to investigate today. This STEM Respiratory System Investigation was a great discovery of what can stop our lungs from working properly. We compared lungs with asthma to healthy lungs and talked about some other lung infections and how they can affect our bodies. Materials we used during our STEM Respiratory Investigation. STEM investigations have always been Jaida’s desire. Whether we do a formal investigation or she is solving a question on her own, she wants to know how things work. I love her natural curiosity! This was a child-led activity. She developed the question, the plan, and determined the results. I was there as support, but she totally took the lead on this. That is the true desire of STEM lessons. Getting kids to ask and investigate their questions. During lunch we opened up some books about the human body. Jaida was convinced that because she had sat in our her older sister’s lessons of the human body several years ago, that she knew everything there was to know and didn’t need to study it anymore. So, I started pointing out some details of the respiratory system that she was looking at. She turned the page to the circulatory system and that is where the big questions began. Why is there “water” flowing to the heart? The book was showing a blue liquid flowing to the heart and a red liquid flowing away from the heart. So we learned about how our bodies take in oxygen and inside the lungs the oxygen is added to our blood. She flipped back to the respiratory system and began investigating closer. She noticed little flap on the page that talked about how asthma causes the tubes in lungs to swell on the inside and air can’t get through. I mentioned that my step-mom has asthma. Then, she decided that she wanted to make some lungs and show what it is like when a person has asthma. First she wanted to put lungs in a box, but couldn’t figure out how. Then she decided to try a paper bag. She assembled her lungs, but found that they were too large for her to demonstrate. It took about 5 big breaths for her to fill them up. I had some small plastic bags, so she decided to use those instead. 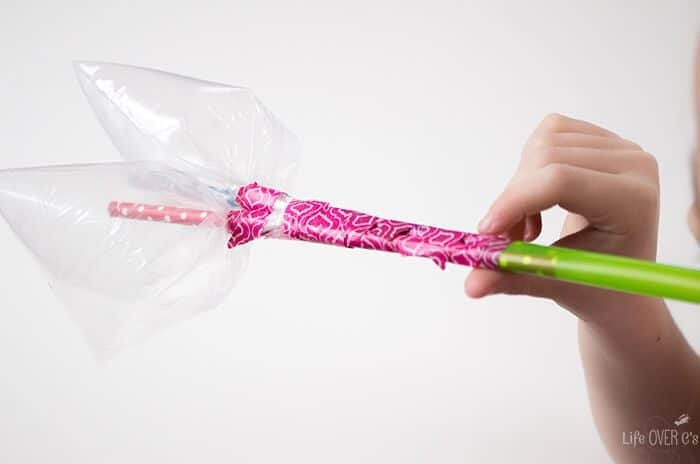 We cut the tops off the small plastic bags and inserted a paper straw into each one. 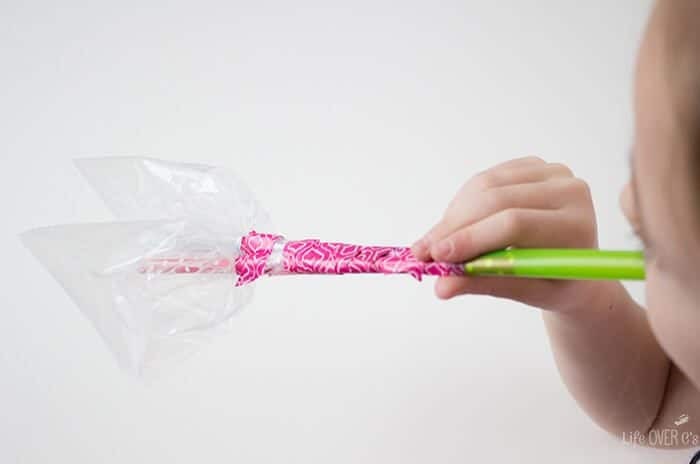 We had to tape the straw to the bag on the inside to keep it from slipping out. 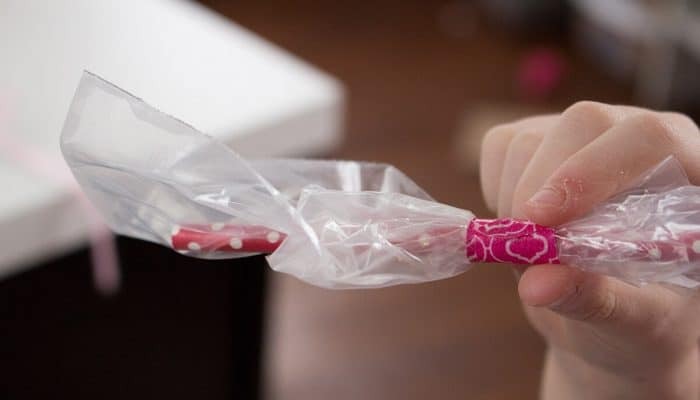 Then she tightly wrapped some tape around the bag to make it like a lung with bronchial tubes. She did that to both bags and then pushed both of the paper straws into a larger plastic straw. Her exact words when I asked if she needed help: “No mom, I want to do this myself.” Yes, ma’am! 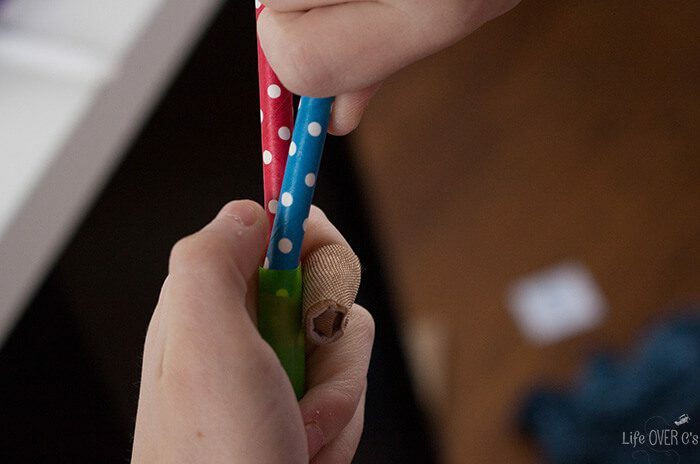 She added a small piece of tape around the end of the larger straw to secure it in place and trimmed it down, so it wasn’t so long. Then, she blew into the straw. 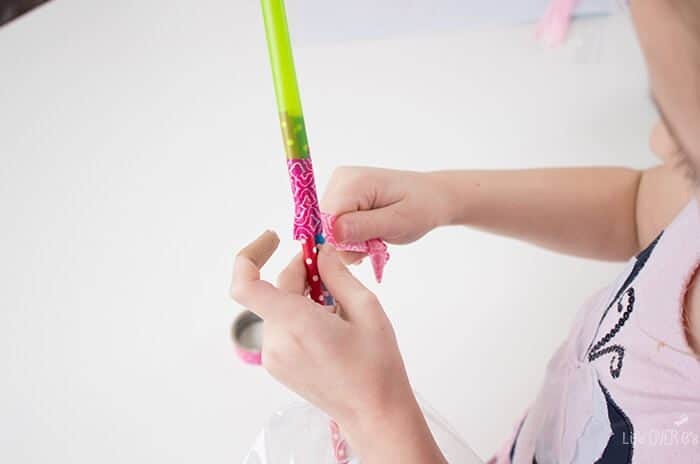 The bags inflated a bit, but not very well and she realized that air was escaping out the bottom of the large straw and decided to add more tape. Then she tested it out again. Inhale. She breathed into the ‘lungs’. 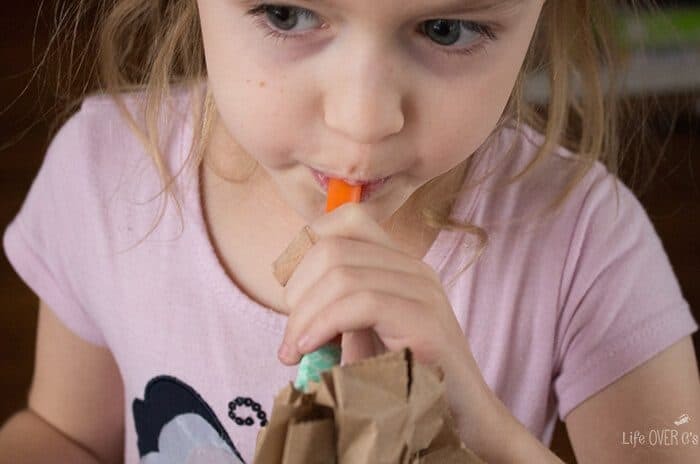 Then, she took the paper bag set she had created and added some hot glue to the opening of the larger straw. I would have advised doing it to the smaller straws, but she was in charge. Then, she tried blowing again and realized that no air was going into the lungs. And we had our discovery! When our bronchial tubes aren’t working, we don’t get air. We talked about how other sicknesses like pneumonia can also prevent us from getting enough air. Do more research on the respiratory system by watching videos, finding apps about the human body or doing a web search. 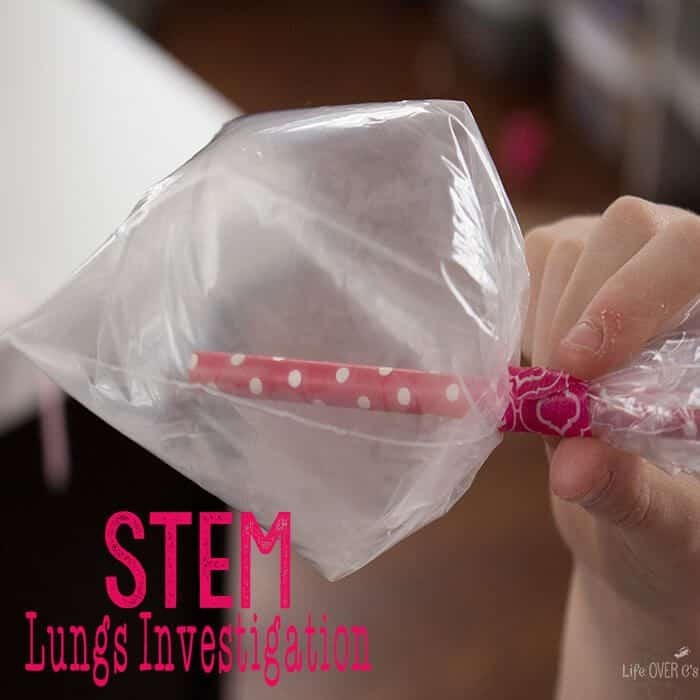 Take and print pictures of the lung investigation. Label parts of the lungs that were demonstrated. Show sicknesses like pneumonia by adding water inside the lungs. Or smoker’s lungs by adding a thicker substance. Type a conclusion to the investigation and print it to save in a science journal. 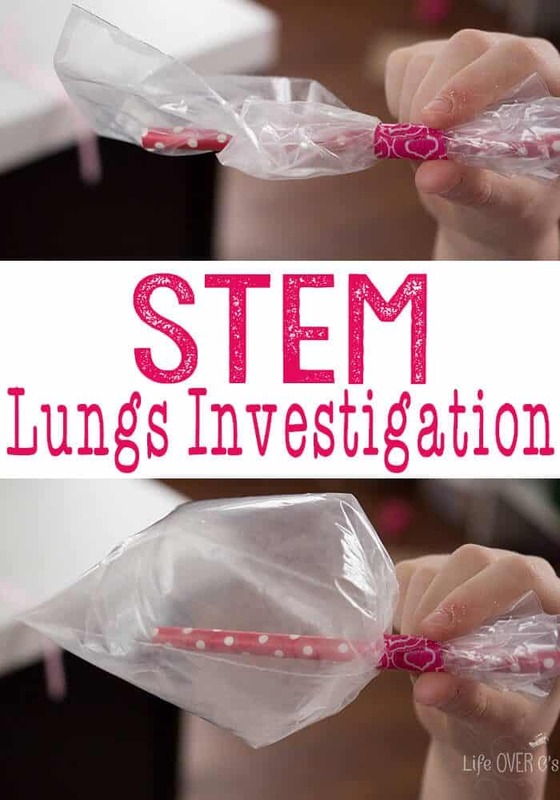 What ways can you think of to extend this STEM Respiratory System Investigation? I’d love to hear your suggestions! The Early Elementary Blogging Team is sharing some great ideas for learning about the body (or using the body to learn!) Be sure to check it out! I am so in love with this and how it was chosen by your daughter! I’ve shared it all over the place! What a cool experiment Kim! We are definitely going to try that too! 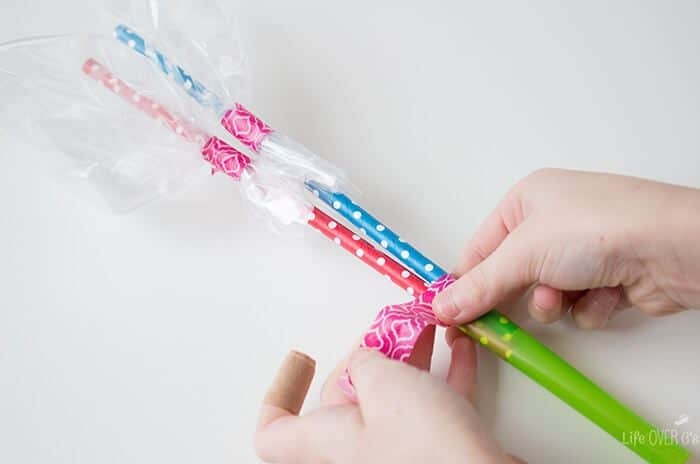 This is such a fun activity! 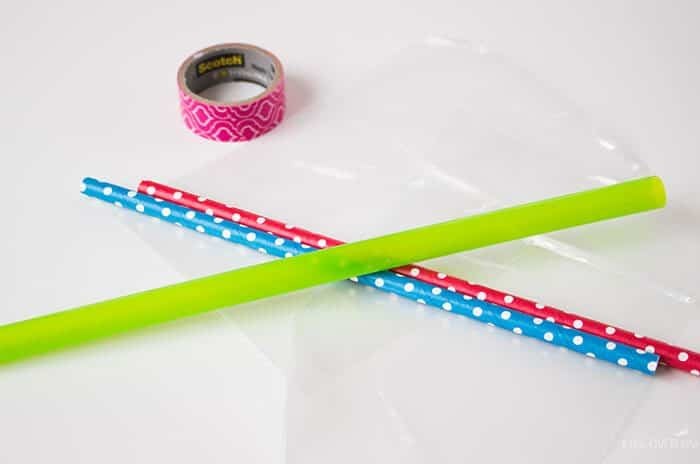 I loved the colors you used for the tape (my daughter pointed that out) and how this is a STEM activity. It can be really hard for kids to visualize how the body works. This is a great demonstration. 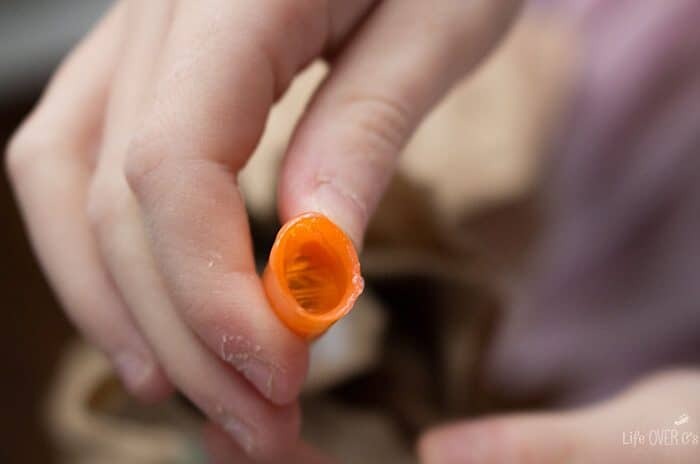 Do you know of any other demonstrations for primary school biology?